The year is little over five months old but already the May bank holiday weekend, and the days that followed, will be topics of conversation when the dark evenings return this winter. That’s not for a while yet though, thankfully. 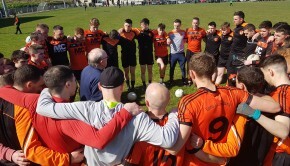 No sooner had Derek Ryan’s crew shipped up and sailed out – marking the end of a phenomenal voluntary effort over three days and nights by the Lavey community – than the focus returned to matters on the pitch. 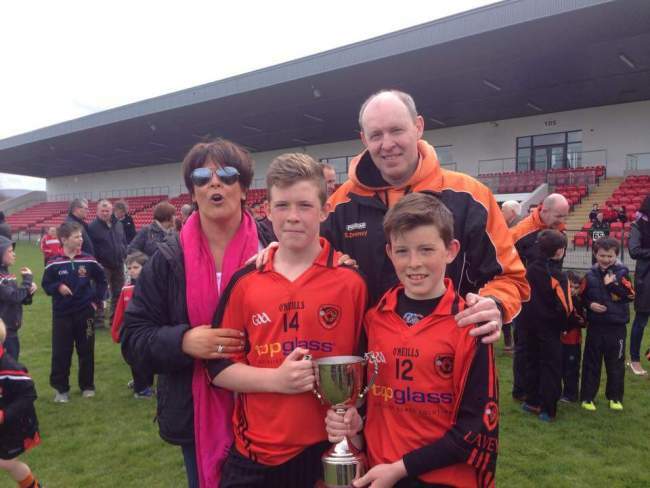 Bank Holiday Monday brought the re-transformation of the 3G hall and also an emphatic twelve-point win for the under-14 footballers over Magherafelt in the Féile final at Owenbeg, bringing to an end a nine-game campaign which saw Lavey overcome every other team in the ‘A’ section to secure the title – a first in the club’s history. That over a dozen of that squad of players returned to the same venue claim the hurling shield six days later makes the feat all the more remarkable. Six days, two games and nine goals, two thirds of which were scored by Callum Murray with both boot and hurl. Murray’s performances were outstanding and matched only by the composure, discipline and hard work of the entire team. 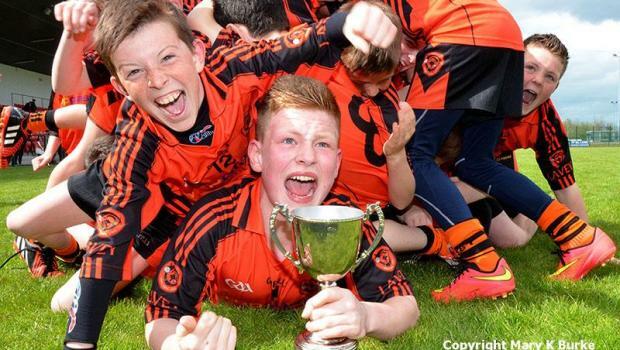 Playing in his second football Féile final in two years, the big full-forward got his team off to the perfect start collecting a high ball before leaving a trio of Magherafelt markers in his wake and firing to the net seconds after the throw-in. Playing with a first half breeze, Lavey played direct football with Murray repeating the trick midway through the second half with another scintillating fetch, run and finish. With James McGurk proving accurate from free kicks from both short and long distances, Lavey built up a six point lead before the Rossas hit their only goal of the game through Thomas Shea Maynes, reducing the lead to three points. However, as if to lay down a marker for the second half, fine combination play resulted in McGurk’s point effort dropping into the roof of the net to rubber stamp Lavey’s first half dominance going into the break. 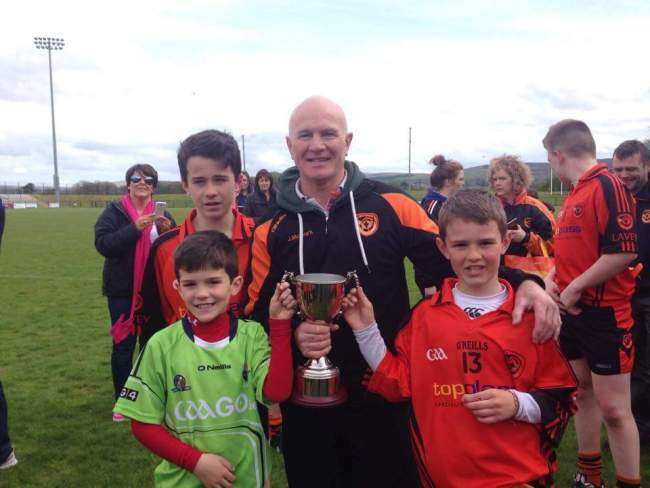 Six days later, there was a similar end to the first twenty minutes of the hurling final when stubborn Na Magha resistance was finally broken when Enda Downey crossed the sliothar from the left wing, Callum Murray latching onto the loose ball, and dispatching it to the net. Na Magha would draw level again at the start of the second half but it proved to be a false dawn. Following a point from a free from Jamie Duggan, two goals in as many minutes from Callum Murray and Enda Downey ended the game as a contest. 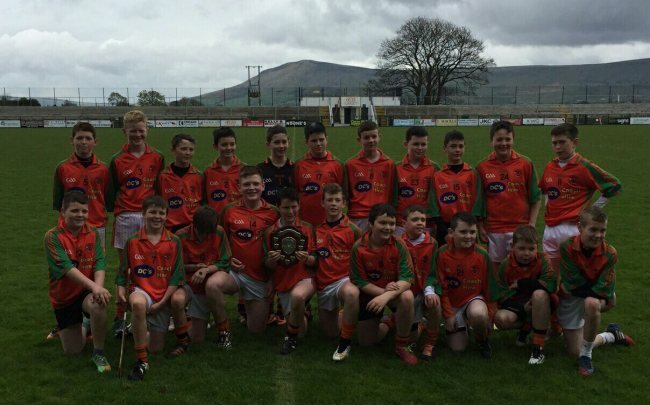 The result was then sealed with the completion of a hat-trick of goals by Murray one minute from full time, after which team captain, Ryan McGill received the Féile shield on behalf of the club. 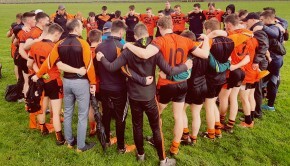 The emphatic second half display of the hurlers was matched only by the performance of the footballers in their final twenty minutes of action. Leading by six at the break, but facing into a stiff breeze for the remainder of the game, the Owenbeg crowd anticipated a close fought second half which never materialised. The fact that the young players went on to double their lead by the full time whistle deserves some consideration. Playing with a maturity well beyond their years, the defensive display to contain inevitable early Magherafelt pressure was almost as impressive as the counter-attacking possession football used to devastating effect at the other end. 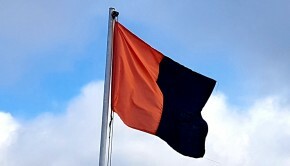 Time after time, Magherafelt attacks were halted by crowds of orange jerseys providing a platform from which Murray netted for the third time at the other end before turning provider for Jack Scullion to finish in style. The final whistle was met with joy from supporters, coaches and players alike but it is the performance that will live long in the memory. The club would like to congratulate all those that played their part including all the coaching and management teams and both groups of players who have displayed willingness to work hard and to learn throughout the year to date. They have been terrific ambassadors for their families and the club. Like the big weekend that was, the curtain has now fallen on both Féile finals, but the hard work on and off the field goes on. N.B. 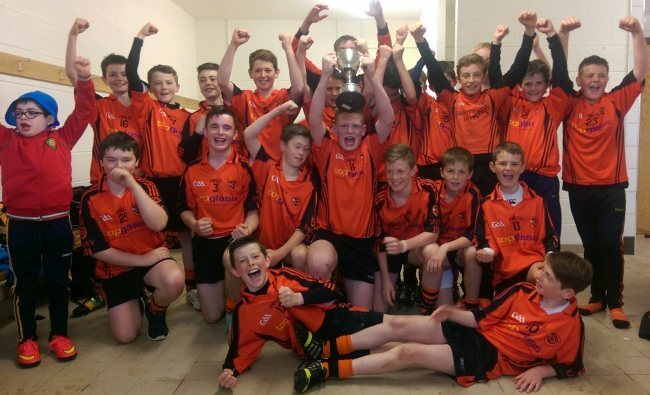 Lavey U-14 footballers will take part in the All-Ireland division one Féile competition on Saturday 27 June at Hawkfield, Co. Kildare. 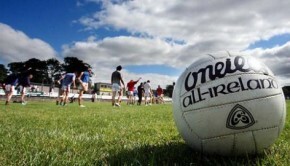 U-14 Football Squad: Jack Mc Kendry, Cormac Collins, Jake O Connell, Niall Duggan, Jack Scullion, Ryan McGill, Jamie Duggan, Enda Downey, James McGurk, Matthew Downey, Joe Duggan, Calum Downey, Ryan Farrell, Calum Murray, Patrick Mc Gurk, Shea O’Neill, Max Kazogi, Leon Duggan, Joseph McGurk, Ruairi Magill, Louis Regan, Oisin Madden, Oisin Mc Corry, Niall Rafferty. Management: Seamus Downey, Henry Downey, John McGurk, Seamus Scullion.